The year-long pilot program will see 100 offenders from four of the city’s knife crime hotspots — the boroughs of Lewisham, Lambeth, Croydon and Southwark — issued with the devices. When the program launches on February 18, it will allow police to automatically check an offender’s location against the scene of a reported crime, the mayor said. 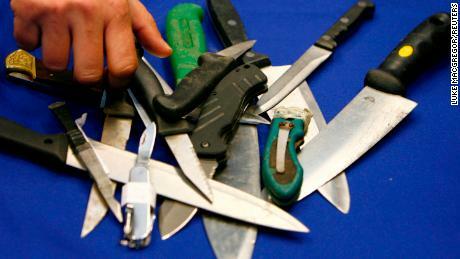 Khan has been under political pressure to stem the increase in knife crime recorded in London in recent years. In February 2018, London’s monthly homicide rate briefly overtook New York’s for the first time in modern history, and homicides in London rose 14% in the 12 months to September 2018 — the latest period for which statistics are available — according to UK’s Office for National Statistics. “This innovative pilot will build on the good work of the City Hall-funded violent crime task force by helping offenders integrate back into society and reducing the risk of reoffending, as well as giving the police the information they need to thoroughly investigate reported crimes,” Khan said in a statement.